Revision, everyone’s favourite past time - not. Whether you love it or hate it, it’s just got to be done. But the information just won’t go into your head? Keep on reading to find out what mistakes you could be making when it comes to your revision. We’ve all been there; the night before a test and it’s cram-city. Try to avoid cramming at all costs, as it’s actually one of the worst things you could do. Why? Putting your brain under so much stress by trying to squeeze all of the information in is likely to backfire and cause the dreaded ‘mental block’ as your head is literally ready to explode. Don’t make this mistake and forward-plan some sensible, bite size study sessions. When people think of ‘revision’ they tend to just think of re-reading over a chapter in the text book. Hell to the no! In order to get the information from paper into your brain, you need to be proactive in what you’re doing. Whether you write out notes, draw pictures, speak aloud etc. You’ll notice a big difference in how much you can remember compared to if you were just to re-read. Now, I know that this sounds silly, but it has been proven that eating a meal which is too heavy before studying can cause problems for your concentration. If you’re too full, you can often become quite uncomfortable and agitated, taking your focus off of your revision. If you are going to eat beforehand (which I would advise!) try eating something light and nutritious. 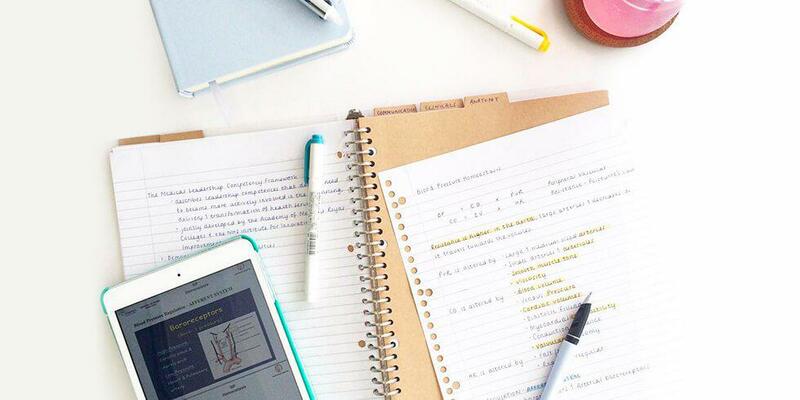 Even though you’ve probably been told this a thousand times already, most people don’t actually know what works for them when it comes to revision. If you know that flash cards or mind maps aren’t for you, then don’t do them just for the sake of it. If you don’t know what route to take with your studying, you can either experiment with different methods to see what works for you, or you can take online tests to identify your learner type. Why is it that it’s so easy to get distracted but so hard to get focused? It’s too easy to think ‘I’ll just check Instagram one more time, then I’ll start revising’ - before you know it, it’s 2 hours later, a new Instagram upload and you’ve still done nothing. If this sounds like you, there are ways of disabling apps on your phone whilst you’re studying, or you could just keep your phone/tablet/laptop out of sight. Social media can wait!